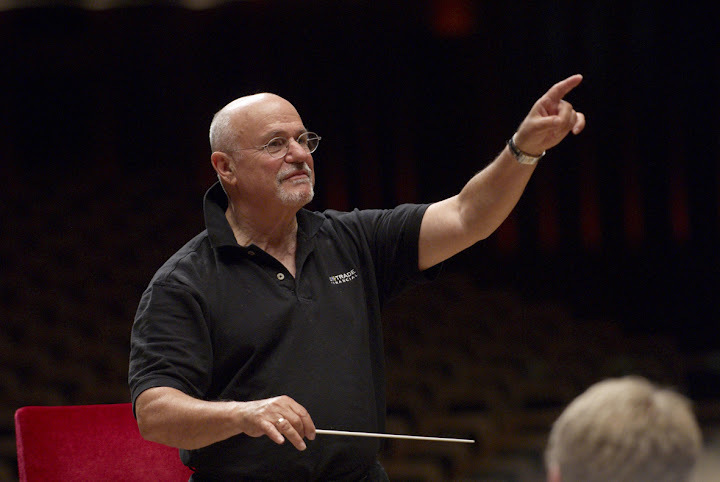 On July 1st & 2nd David Zinman will teach at the International Conducting Class in Zurich (as part of the Zurich Festspiele 2011). Now in its second year, more than 100 aspiring conductors applied for 8 places, and all experienced young conductors will come to study with the maestro, whose years as a teacher have made him one of the most respected professors of conducting in the world. The works to be studied with the Tonhalle Orchestra Zurich include Beethoven Symphony No 4, Brahms Symphony No 3, Wagner Prelude to “Tristan and Isolde” and Mozart Symphony No 36, ‘The Linz’. Guten Tag – Sie sollten auf dem Wb-site der http://www.tonhalle-orchester.ch schauen fur das naechste Kurs. ich wäre interessiert an einer Dirigier-Meisterklasse bei David Zinman. Könnten Sie mich bitte informieren, wenn wieder ein stattfindet? Hallo – Sie sollten auf dem Wb-site der http://www.tonhalle-orchester.ch schauen fur das naechste Kurs.